Imagine this, you are dancing with your newly married partner and just as you reach the climax of your first/last dance, our breathtaking fireworks fountain erupts and comes to life. 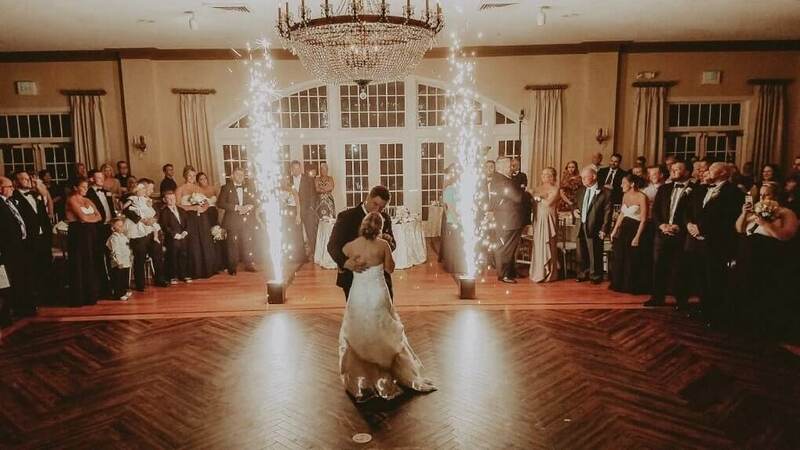 Our indoor firework fountains will enhance your special wedding moments including the bridal entrance, the cutting of the cake, the bridal waltz or the last dance.heThis effect will bring the entire room to life and create a breathtaking backdrop for your photos and video. Ignite your imagination and turn your special moment into a life time memory with our exciting & spectacular indoor fireworks fountain. You and your guests safety is our number one priority. Our new fireworks fountain create a spectacular effect without the risk of traditional pyrotechnics. Cold sparks, means no fire, no heat, no smoke and completely compliant with health and safety at venues. We create a fireworks show that is unique, breathtaking and truly spectacular! Transform your event from great to OMG! We bring the live Ibiza style vibe to your event by adding our live saxophonist who will play along to tracks that we play. You have to see it to believe it!